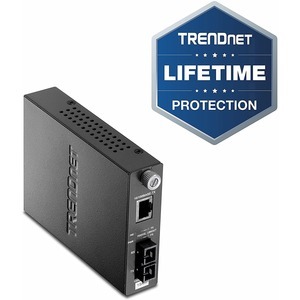 TRENDnet's TFC-110 series Fiber Media Converter transforms 10/100BaseTX UTP/STP media to 100BaseFX media and vice versa. 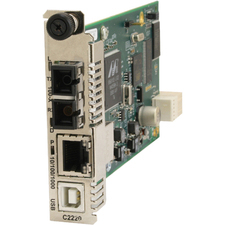 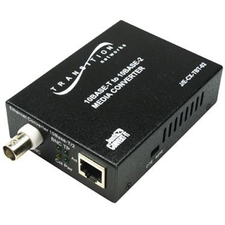 The 10/100BaseTX port auto-senses 10 or 100Mbps connection speed, auto-negotiates half-/full-duplex mode, and auto-selects MDI-X / MDI-II media type. 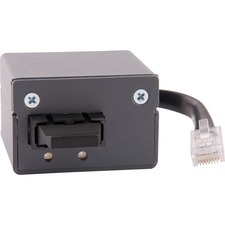 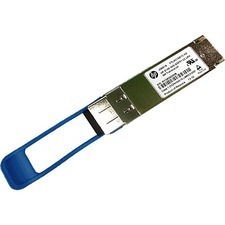 The fiber connection can be multi-mode SC, MT-RJ, or single-mode SC Connector and it has a slide-switch for selecting half- or full-duplex mode. 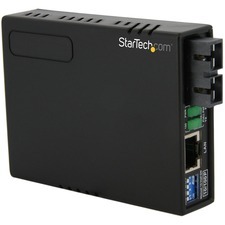 This converter will give your Switch/Hub the ability to interface with fiber connection over a distance up to 75 km. 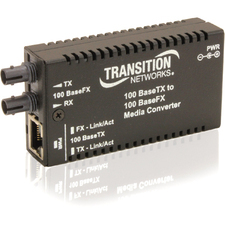 With the optional 16-slot EIA-19" rack-mount chassis, the TFC series converters are the perfect solutions for various fiber media conversions for your network.